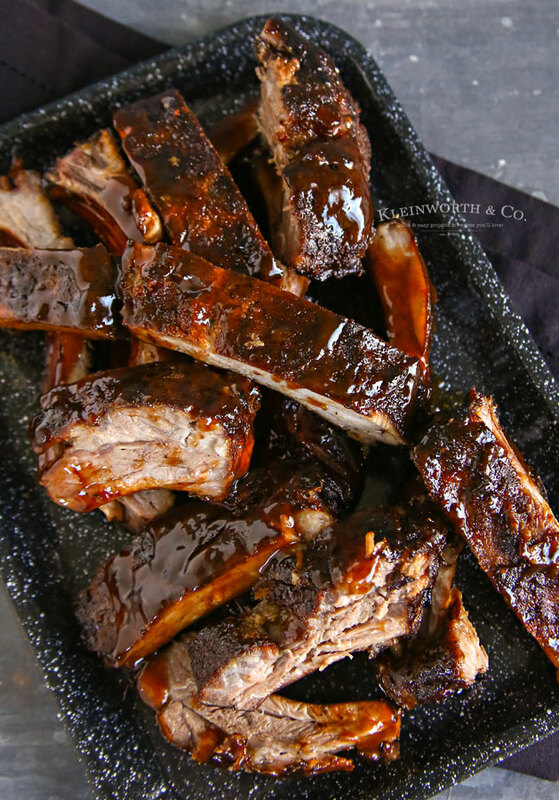 Smoked Baby Back Ribs are perfect for your backyard bbq. 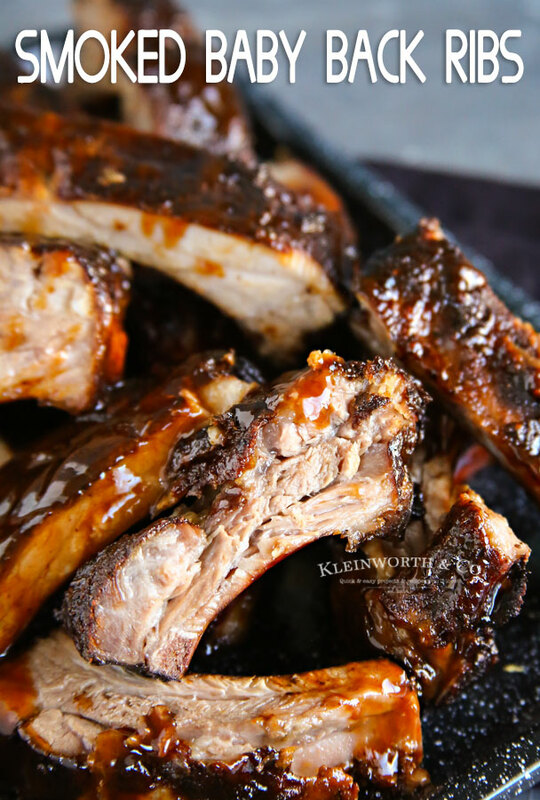 So easy to make, this bbq rib recipe will keep your crowd happy. 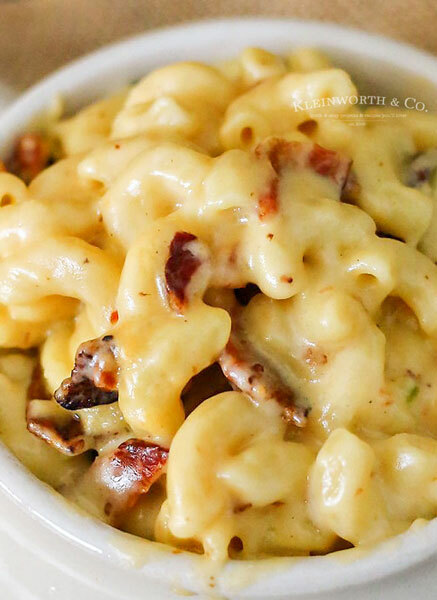 Do you love smoky bbq flavor? We do to. In fact, we are a bit obsessed with it. So of course we had to season the new smoker with some delicious Smoked Baby Back Ribs. It is easier than you think & I’m going to show you how. 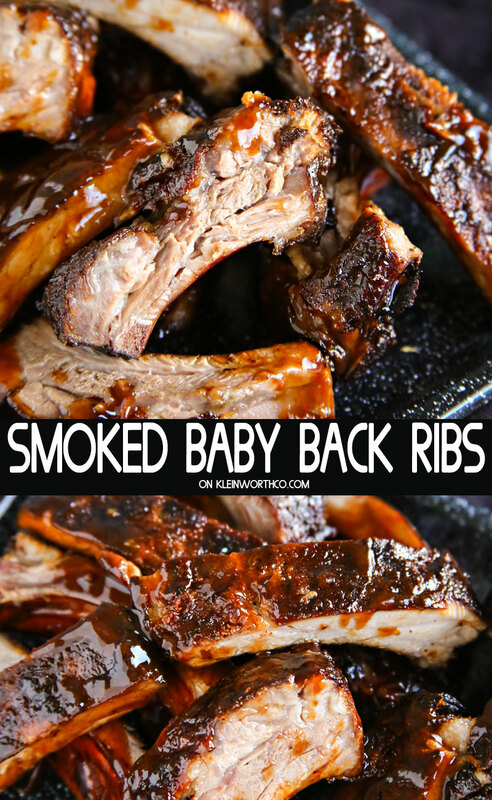 Now, there are many methods for making ribs. We have our no-fail baked & then BBQed method. Then there is the slow cooker method. We even make them in the Instant Pot – which really cuts down on time. 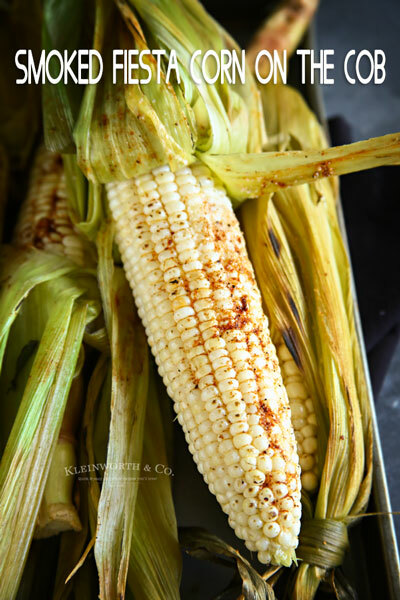 But nothing really beats the rich, smoky flavor of making them in a SMOKER! Start with seasoning your ribs, we like salt & pepper, granulated garlic, paprika & Pappy’s Choice Seasoning. Then place them in the smoker, add your chips & turn it on low & slow for a good 4 hours. Your smoker should be hovering around 225 degrees most of the time. 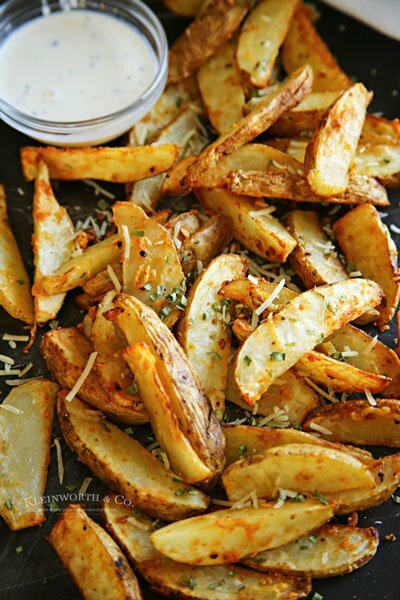 When your smoker stops smoking, you need to add more chips. 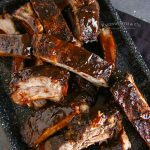 We also like to put a little pan of water in the bottom to give a little bit of moisture to make those ribs juicy & tender. You don’t want them dry. Once they look done, we toss them on the grill & brush them with a light coat of bbq sauce & let them get a char for about 10 minutes. They turn out great & will rival any bbq pit in town. What smoker do you use? We like to use electric for consistency. First, we started out with this Big Chief which was a bit clunky but did the job okay. It is really better suited for jerky & smaller cuts of meat. But if you are on a budget, it can work for this. But we are now using this Smoke Hollow which has a regular door with a window making things SO MUCH EASIER. It’s not that much more in price when you look at others in the same category & the features make the process a lot more enjoyable. Which wood chips do you use? You can use chips, but we have since moved on to pellets because we can also use them in our Traeger grill that goes with our camper. We liked the variety of flavors too because it doesn’t really matter which one you choose for this recipe. It is a personal preference. This is baby back rib heaven right here! 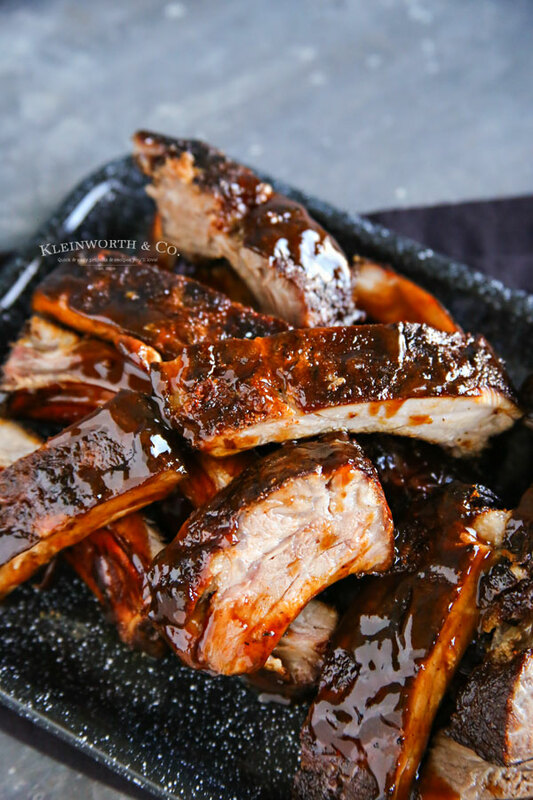 Looking for more awesome backyard bbq recipes to go with these ribs? Sprinkle seasonings on your ribs & rub in. Place ribs in the smoker, add your chips to the bottom & turn it on low & slow for a good 4 hours. When your smoker stops smoking, you need to add more chips. 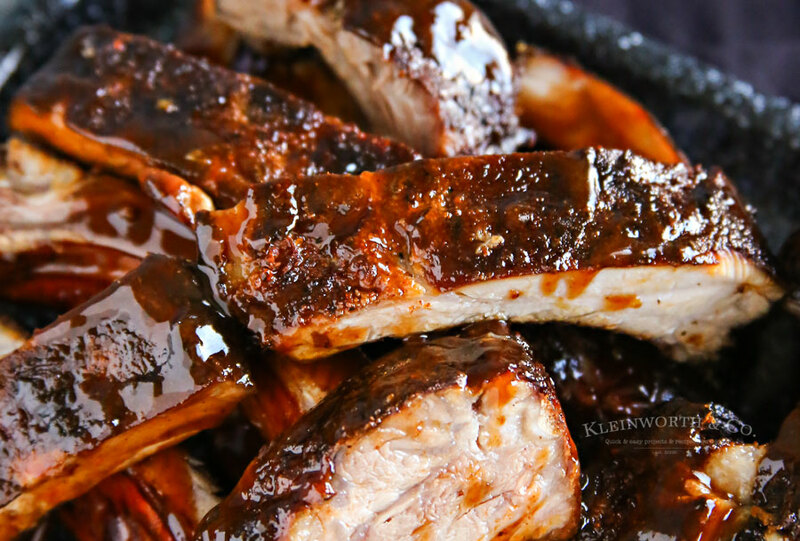 You can add a little pan of water in the bottom to give a little bit of moisture to make those ribs juicy & tender. Once they look done (& have reached 145 degrees internally), transfer to the grill & brush with a light coat of bbq sauce & let them cook over flame for about 10 minutes. Bet they are a crowd pleaser! Your Ribs will be delicious! Hope you are having a great week and thanks so much for sharing your awesome post with us at Full Plate Thursday!